I was expeting the bizarre. In this way I was disappointed, but the people were more delightful than expected, the history was differently interesting and the technology in itself was fun. Perhaps the single best thing about Japan is the integration. 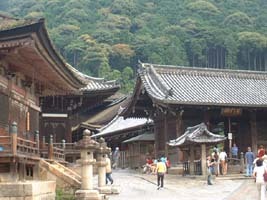 The oldest Japanese traditons and latest technologies co-exist in both physical and social dimensions across the board.